Staff and members of Earl Shilton Building Society have succeeded in raising more than £2,000 for a charity that supports people affected by stroke. Stroke Association, the UK’s leading stroke charity, was nominated as Charity of the Year for 2017/18 by the Society’s staff. Since then, Society staff and members have been going the extra mile to organise and support events for the charity. For example, a group of 20 people comprising staff members, their families and friends, co-ordinated a sponsored walk across the Leicestershire countryside, which alone raised £520. Other fundraising events held throughout the year included a cream team afternoon with a vintage-style quiz and a bake-off bonanza. As a result of these and events like them, a total of £2,058 has been raised for Stroke Association. Paul Tilley, Chief Executive of Earl Shilton Building Society, said: “I would like to say a very big thank you to everyone who helped raise these funds for Stroke Association, be they members, staff, their families or friends – we really couldn’t have done it without you. Louise Knight, Fundraising Manager at Stroke Association, said: “There are around 1.2 million people in the UK who are living with the devastating impact of stroke. “A stroke can happen to anyone at any time, and it turns lives upside down in an instant. “With the support of people like the team at Earl Shilton Building Society, we can reach out to more stroke survivors and their families as they rebuild their lives. Further information about Stroke Association is available at www.stroke.org.uk/. 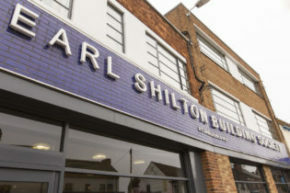 For more on Earl Shilton Building Society, visit www.esbs.co.uk/.